Strathcona Science Park? 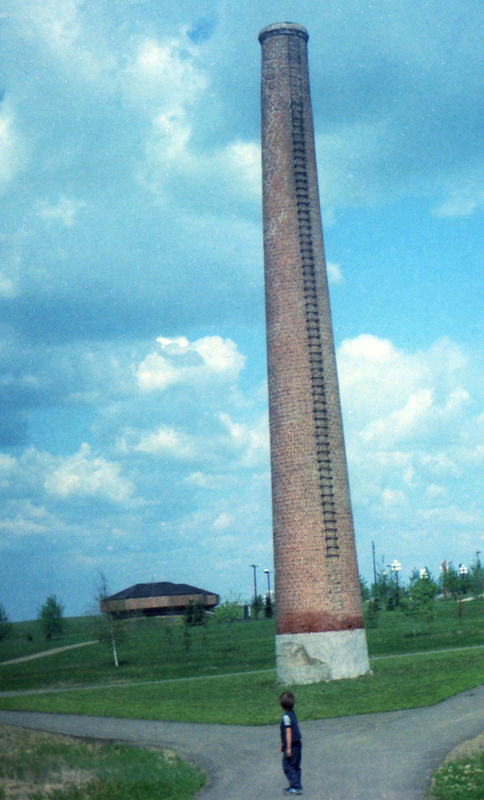 But I don't remember the old smokestack from my last visit. Yep, that's Strathcona Science Park. 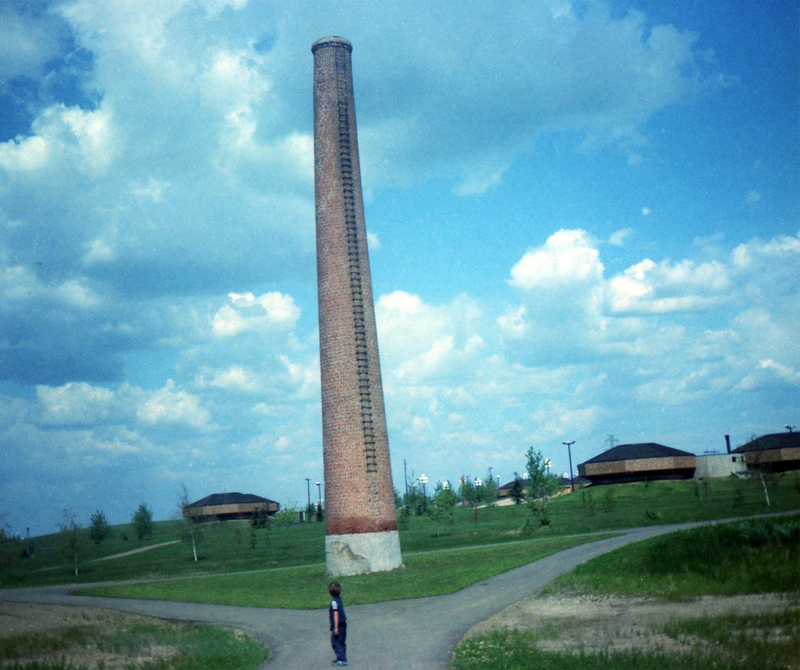 I'm not sure if the smokestack is still there; I haven't visited since this photo was taken, back in 1982 or so. I see the tower as a giant phallus, the buildings as monstrous testes, and the path is as obvious a crotch as you will ever find. Sean represents Sean. You should try taking out the trees, I agree that would make it look moe strange. Or cluster the trees around the stack to make it more obvious. Either way, good Photoshop practise. My first thought was that it would be so cool if you had a modern picture of Sean gazing at the young Sean while he looks at the tower.